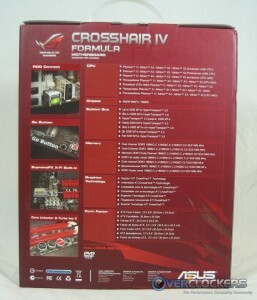 The Crosshair IV Formula is ASUS’ top of the line AMD motherboard. Housing the 890FX northbridge and SB850 southbridge, it should be a current-generation powerhouse. So sit back, relax and let’s sink our teeth into this beast. Author’s Note: This article was updated September 23, 2010 with items outlined in this post in the comments. Before exploring the board itself, you should have a look at what AMD’s newest chipset has to offer in our piece from June 23rd if you haven’t seen it already. Done? Great! Now that you have a grasp of the technology going into the hardware we’re reviewing today, let’s move on to the board itself. 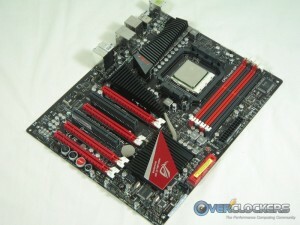 If you don’t take much away from this part of the review, take this – ASUS knows how to present its boards. By far, this is the most stunning product presentation I’ve seen in a motherboard from any number of manufacturers. Just take a look for yourself. My wife called it best – It is packaged just like a toy. That’s what a board of this calibre / price point is though – a toy for overclockers! There are two compartments in the box, one for the board itself (we’ll get to that in a second) and one for the accessories, manual and (wait for it) a sticker. 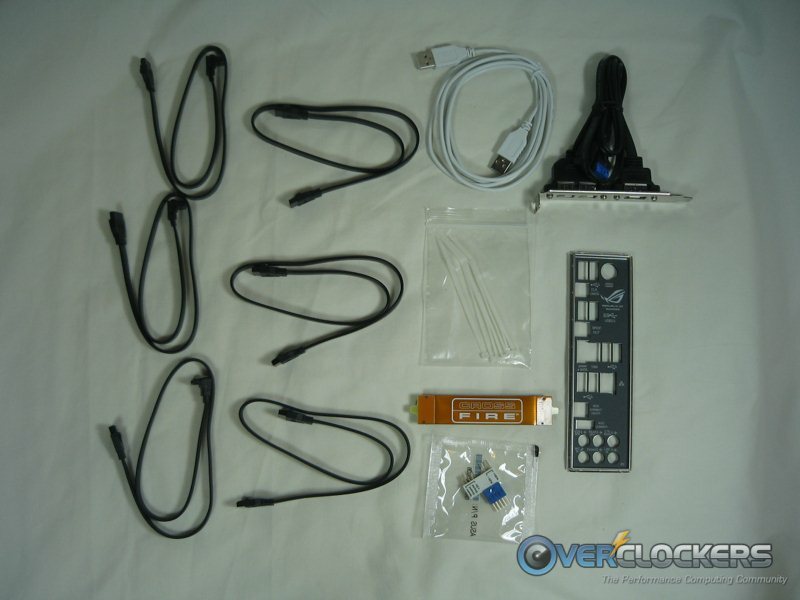 Included are no less than six SATA cables (three of which have one 90° end on them), a crossfire bridge, the backplate, the ROG Connect cable, an expansion slot module, some wire ties and a Q-connector kit. You can decide whether the sticker is a good thing or not. Pulling the board out is no less fun than seeing it in the box. It’s a very good looking board from all angles really. Let’s see a few of them. If they put as much effort into engineering the board as they did making it look good, users are in for a treat with this one. Let’s see what sort of specifications they have in store for us. Well then, that’s one long list! How about we look around the board and see if we can spot a few important ones? First up is the rear I/O. The contents of the panel are listed above, so I’ll spare you from reading them again. One thing missing here that appears on most high-end boards is dual LAN ports. I don’t really know anyone that uses those and they typically seem to be there just to lengthen the feature list. It’s not really a huge loss and definitely not a deal breaker. 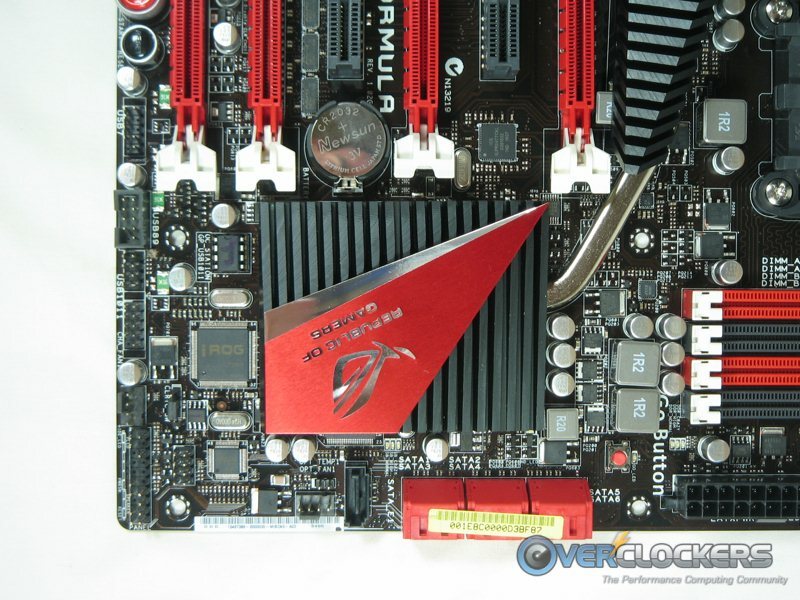 Good things for overclockers to notice are the inclusion of a clear CMOS button as well as the connector and switch for ASUS’s ROG Connect. 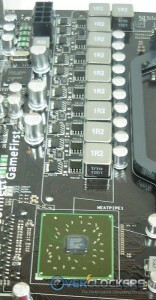 This next photo shows a fair bit of the features of the board. To the left you have the USB / front panel /fan headers. In between them and the southbridge, you see the iROG chip that allows for the (very fluid) on-the-fly software overclocking and even a very nice “save to BIOS” feature. 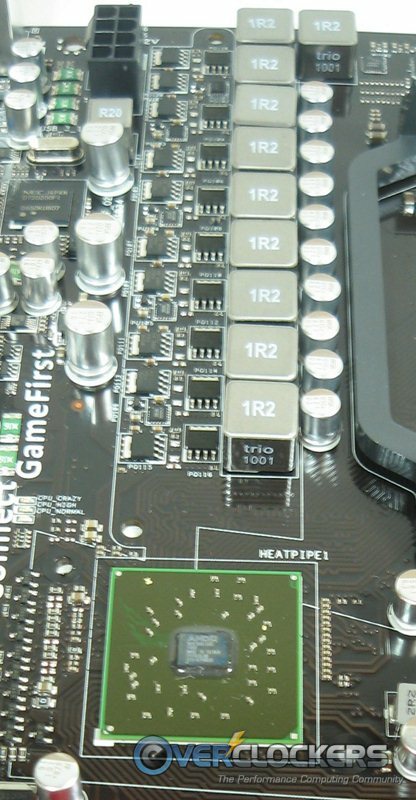 While there are no multiple BIOSes on this board, you can see above the iROG chip that the BIOS chip is removable for easy recovery if you should completely bork your BIOS. Also in the photo are the six (red) SATA 6G/s ports and the single SATA 3G/s port (black, to the left of the others). 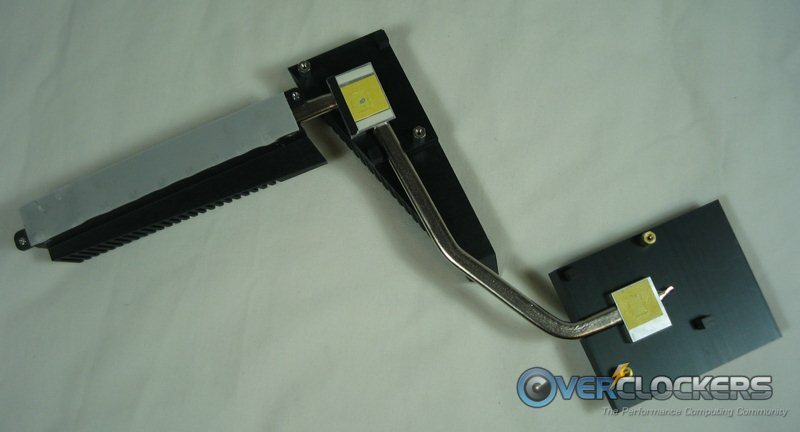 I suppose this could be useful for an optical drive, but unless you have a crazy amount of drives, you may as well use one of the backwards-compatible SATA 6G/s ports to assist with wire management. 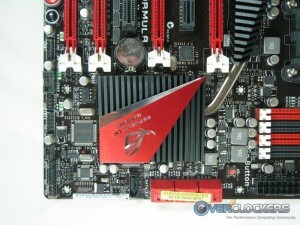 To the right and just above the SATA ports is the “Go Button”, which is a nifty user-programmable auto-overclock button. You tell it what to do when you press the button via BIOS settings and it does the work for you on the fly. While not exactly necessary, it’s definitely a neat feature. Before POST, the “Go Button” also functions as the “Mem Ok” Button. This is quite a nifty feature, especially for overclockers on the extreme end. If you hit it before the POST begins but after a bad overlock, it will automatically loosen the timings, drop the frequency or adjust the voltage on your memory. Or do a combination of two or all three of those things. 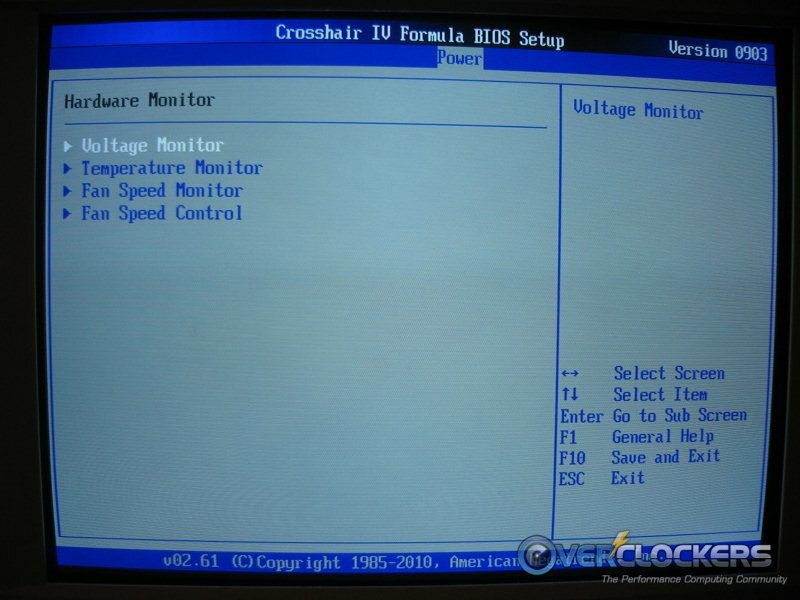 The big benefit for extreme overclockers is that this does not require a full CMOS reset. 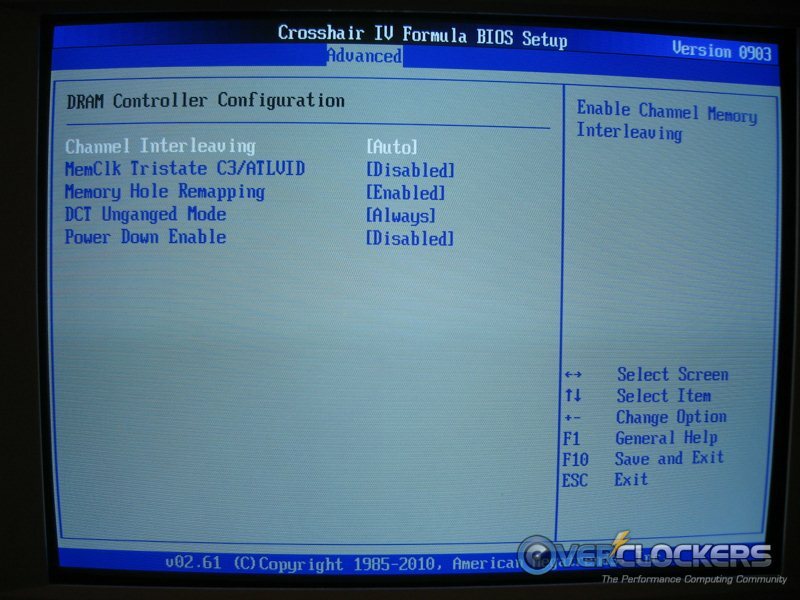 When it lets you into BIOS, you will be greeted with the same settings you had before the overclock failed, so your base settings are still there and ready to rock; you just have to back off on your memory overclock. The less time you’re in BIOS with liquid nitrogen, dry ice or even liquid helium since this is an AMD board, the better. You want that CPU doing work, not sitting idle, waiting for condensation to rear its ugly head. In the shot on the left you can get a better look at the Go Button and also take a look at the “ProbeIt” voltage read points. A closer-up view is on the right. This is very handy for overclockers that need to know precisely what their voltages are right then without having to rely on software. To the left of the ProbeIt read points are the QLED indicators. QLED is sort-of like a POST code indicator. The benefit is you don’t have to look up or remember POST codes. 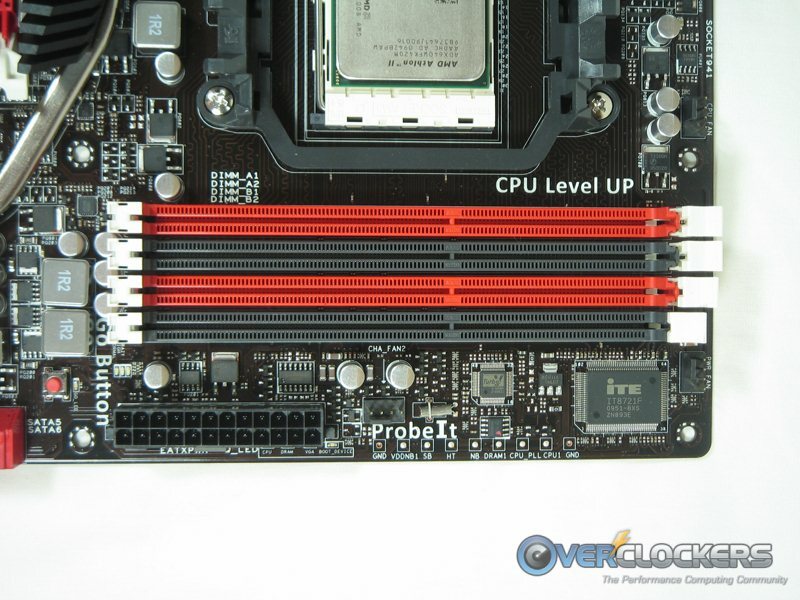 These will light up if there are problems booting due to the CPU, DRAM, VGA or BOOT DEVICE. It’s a nice feature to have for easily seeing what’s wrong, but I’d still like to have a POST code indicator, if not instead of this feature, at least in addition to it. Moving our attention to the bottom of the board, you can see the on-board power / reset buttons as well as the ASUS core unlocker and turbo key. The core unlocker does just that. 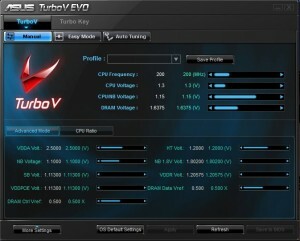 Controlled by the TurboV EVO Hardware IC, this one is the easiest to use . It’s fully automated and will unlock your CPU if it detects cores / cache that can be unlocked. 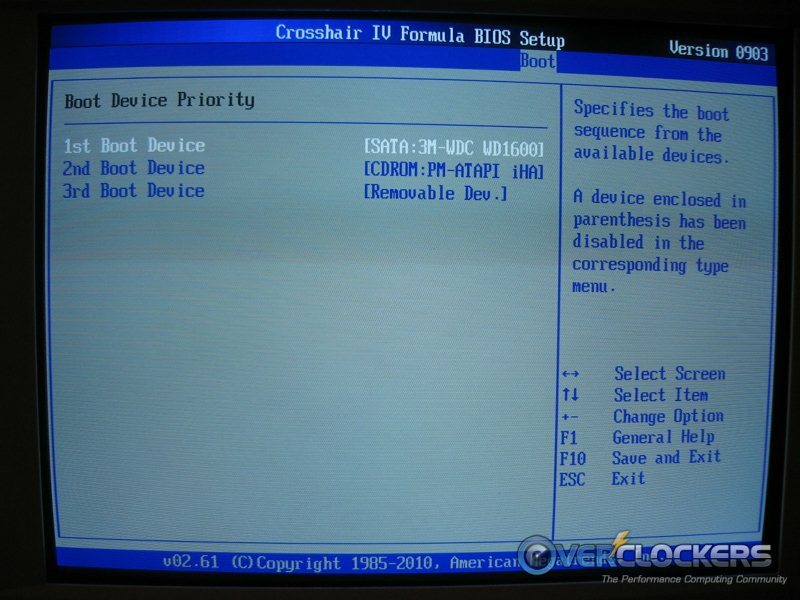 The second, potentially more useful (but more input required) method is via BIOS core unlocking. This one isn’t as automated as just pressing the button. 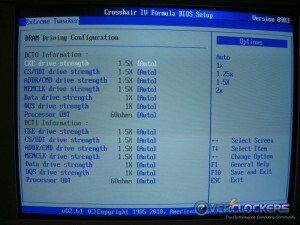 You must set the number of cores you want to unlock as well as adjust any voltage needed to compensate for stability. Your mileage may vary because only some CPUs can be unlocked. The Core Unlocker button is a nice feature to have, but it may as well have remained solely a BIOS setting rather than adding a button. I’d rather have an extra clear CMOS button in its stead. So, what’s residing under that heat sink? Mostly good stuff! On a very positive note, the contact was very good from the top MOSFET all the way to the southbridge. The entire assembly is screwed down, no plastic push-pins here. The power section gets the standard gray thermal pad, but the northbridge and southbridge get what turned out to be the bane of my existence. Some type of yellow paste-like adhesive gunk, for lack of a better word. It took more than a little elbow grease to get off. Once removed, it was of course replaced with quality thermal paste all around. After treating the NB, SB & MOSFETs with the new TIM, the board was installed and looks just as good in a case as it does outside of one. So now that it’s installed, it’s time to take a look and see what it has in store for us. The BIOS on this board is clean, well thought out and well organized. 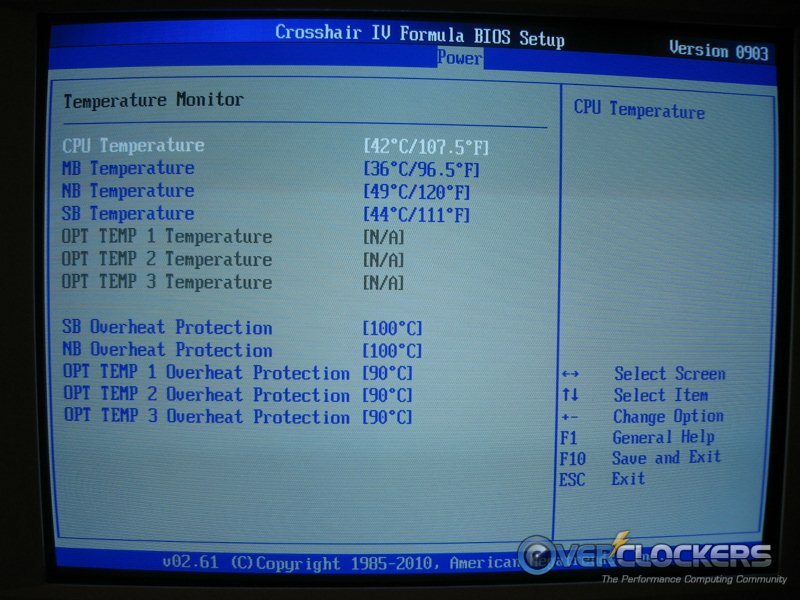 When you first boot into it, you are met with the “Extreme Tweaker” section – the one where you overclock. 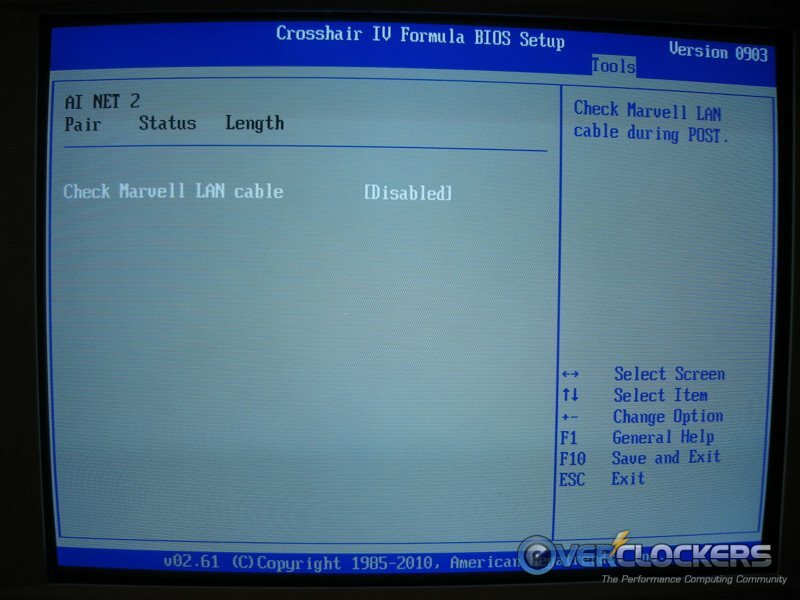 It just sits there, staring you in the face, begging you to start pushing your hardware! 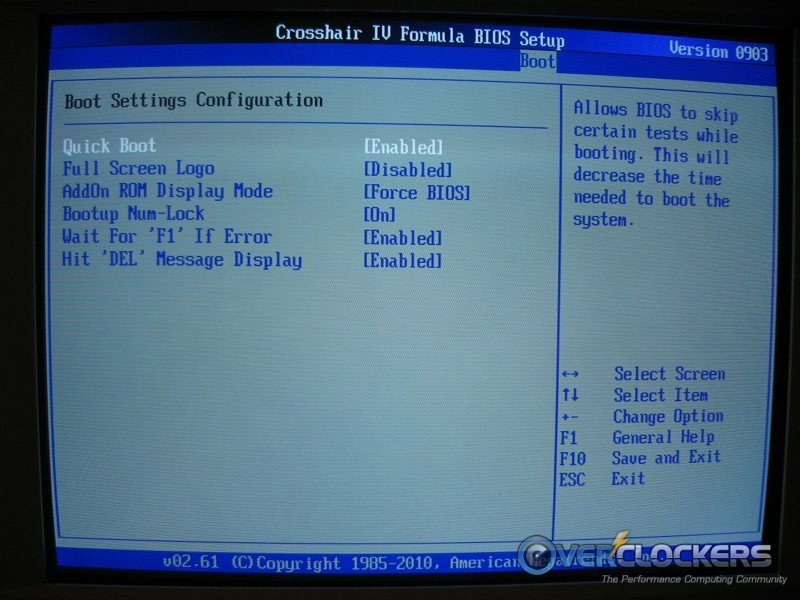 While I appreciate the encouragement and the extensive options available right then and there, I’ve always been a fan of a BIOS “home” menu, giving you the opportunity to select your sub-menu. 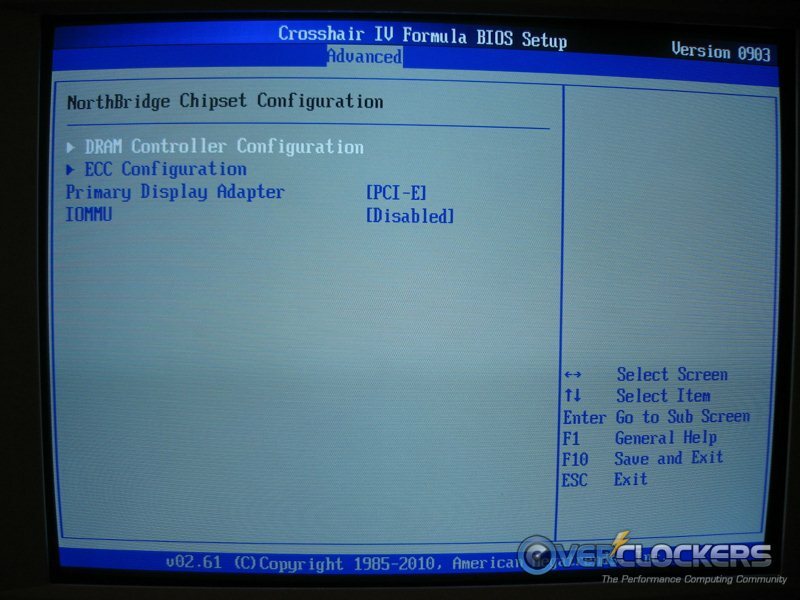 Instead, this BIOS allows you to simply use the left and right arrow keys to go from sub-menu to sub-menu. 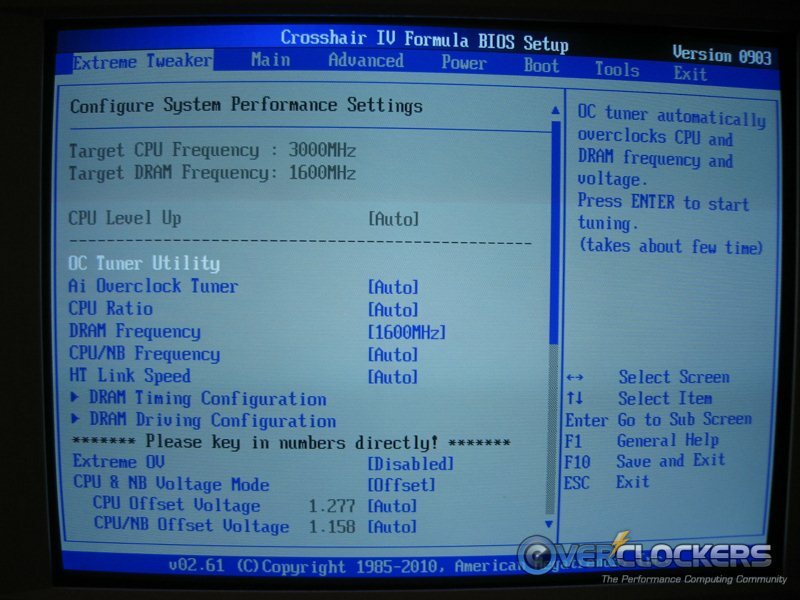 Regardless though, this board is ripe for the overclocking judging from these extensive settings. 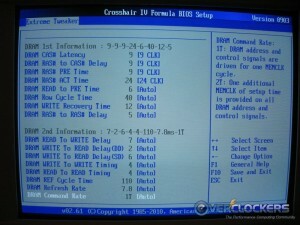 When you move over to the “Tools” section of the BIOS, you are met with a few more overclocking-focused options. 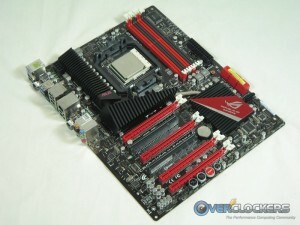 One very welcome to overclockers everywhere is the “ASUS O.C. Profile”. This menu allows you to save (and, very importantly, name) no less than eight BIOS profiles. For anyone that has an aversion to writing down detailed BIOS settings, this is the section for you. It’s still a good idea write down important settings though. There’s definitely no “Are you sure?” pop-up when you save a profile. Overwrite the wrong slot and it’s gone for good. Another tool in this menu is the “Go Button File”. This if where you’ll to set what you want to happen when you press the “Go” button pictured earlier. The last thing to touch on here is the “ASUS E.Z. Flash 2”. This is where you’ll flash your BIOS to a newer version. That part is bold because the E.Z. Flash utility does not allow you to go backwards. Try and you may run the risk of bricking your board. Going backwards is possible (or so I’ve heard) by using a certain version of AFUDOS and doing it manually. The best thing to do – don’t flash BIOS unless a) something is broken that you need fixed or b) you really like to experiment with new BIOSes and don’t mind dealing with potential glitches that you may not be able to rid yourself of. All of that said, flashing with this utility is one of the easiest BIOS flashes I’ve ever had the privilege of completing. Simply browse to your BIOS file, tell it to start and watch the magic happen. It really is as simple as that. 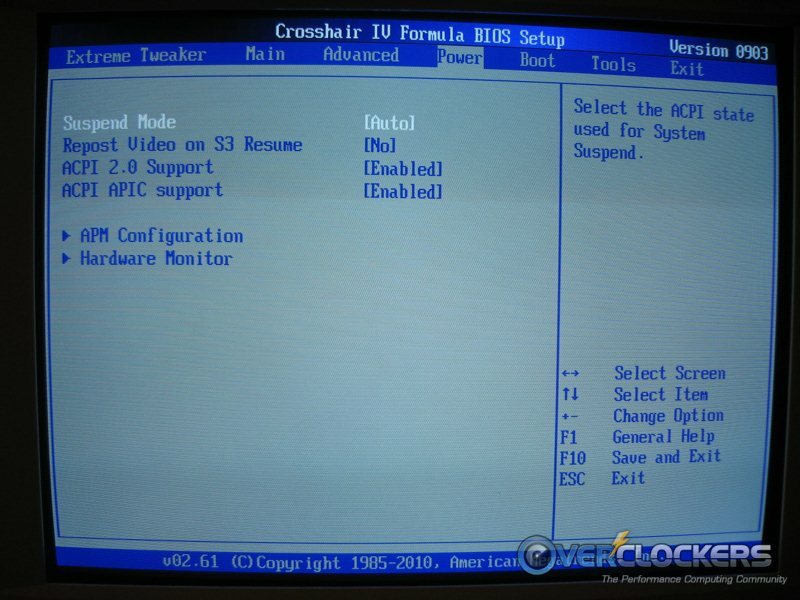 No worrisome potentially bricked BIOS from attempting a Windows flash and no worrying about making a DOS boot disk and figuring out which flags to use, etc. Just tell it what to upgrade to and you’re done. Best BIOS flash ever. The rest of the BIOS is standard fare – storage configuration, hardware monitoring, fan control, main settings, etc. Here are a bunch of screenshots for you to have a look at if you feel the urge. 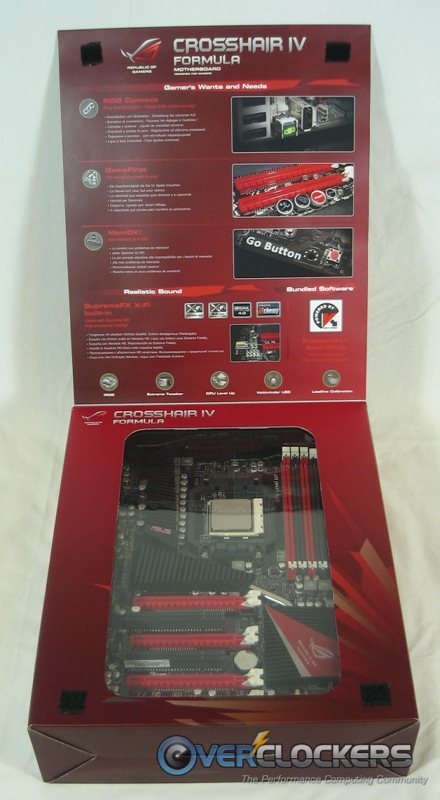 Well, now you know the board and its BIOS. Let’s see how it performs! CPU: AMD Athlon II 640, cooled with a Thermalright Venomous X with two screaming Delta fans in push/pull. For the stock-clocked benches, everything was run three times, taking the average of the three runs to present as accurate of a measure as possible for its performance out of the box. 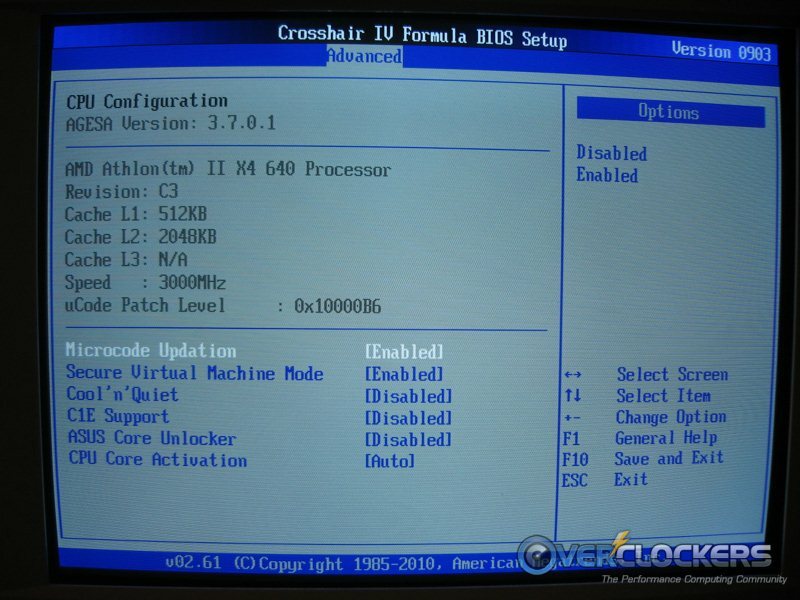 The overclocked results were only run once to simply gauge what sort of increase can be had by pushing the CPU. 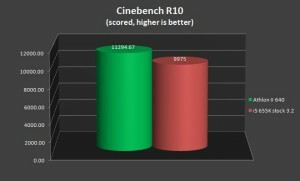 There are only a couple benches (Everest & Cinebench) that were run at stock only. We’ll get to the remainder after discussing overclocking. 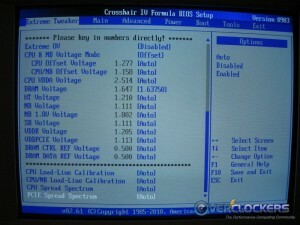 To start the performance section off, let’s look through the battery of Everest CPU & FPU tests. These were only run at stock. The scores don’t mean a whole lot on their own, but screenshots would be cumbersome. 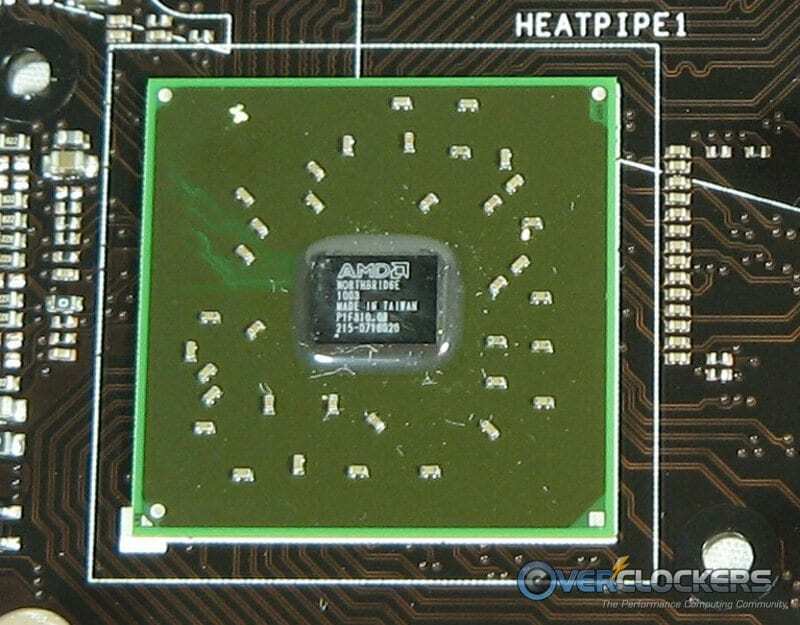 Everest has a vast database of benches to which results can be compared and these are very close to mirroring those of the Phenom II x4 940 Black Edition. 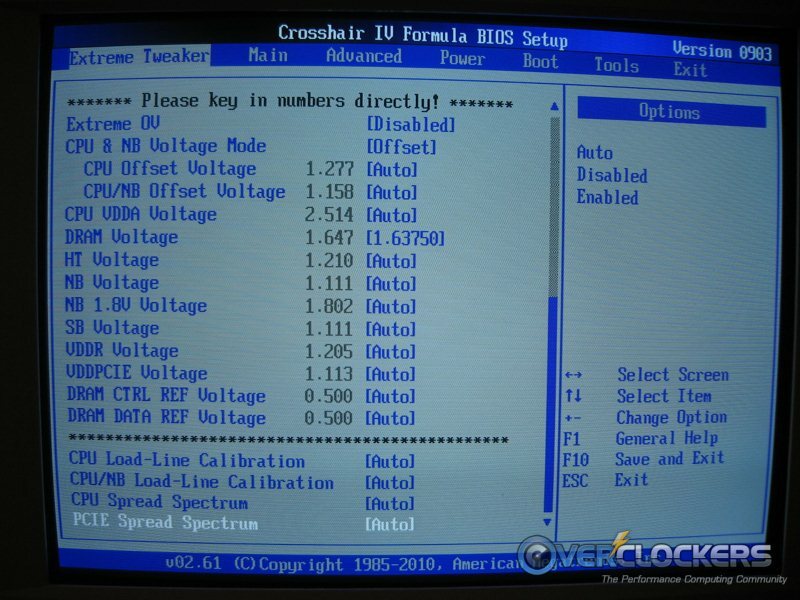 The FPU benches were all within 100 points on most of the benches and the CPU benches with the exception of Photoworxx numbered in the hundreds of points, with almost all of these results besting the 940 BE. The Photoworxx benches showed a very appreciable increase of over 4,000 points. 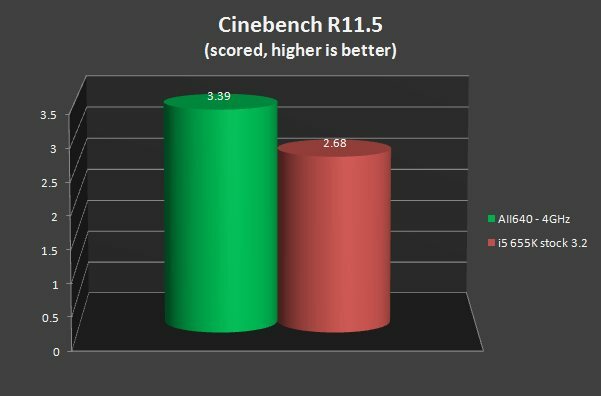 Next up is Cinebench R10 and R11.5. Both of these are great at measuring multi-threaded performance. The comparison CPU you will see in the results here and below is an Intel i5 655K (a dual-core with HT) that happens to be here for testing as well, run at its stock frequency of 3.2GHz. For reference, that CPU retails for $209.99 at Newegg with free shipping, while the Athlon II 640 currently goes for $120.99, also with free shipping. 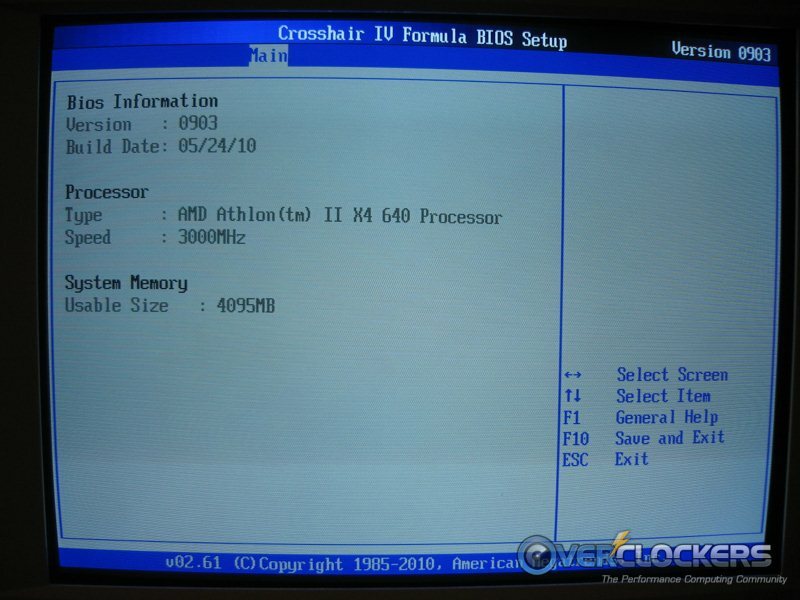 The Athlon II is off to a great start, showing pretty decisively that even with a 200MHz disadvantage, its four physical cores outperform the Intel CPU’s two cores with HT in these heavily multi-threaded benches. 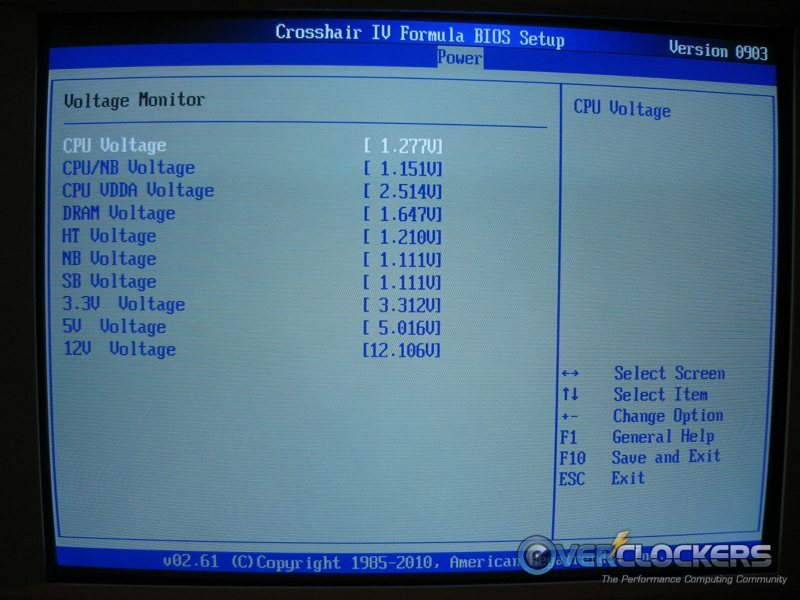 Overclocking this board was a treat. Every setting you could need is right there at your finger tips. The results aren’t crazy impressive in the grand scheme of things until you remember that this is a $122 MSRP CPU! 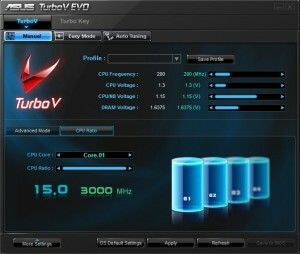 The first thing to mention is ASUS’ seamless, extremely impressive Turbo V EVO overclocking program. Formerly, my favorite Windows overclocking program was EVGA’s E-LEET. No more! 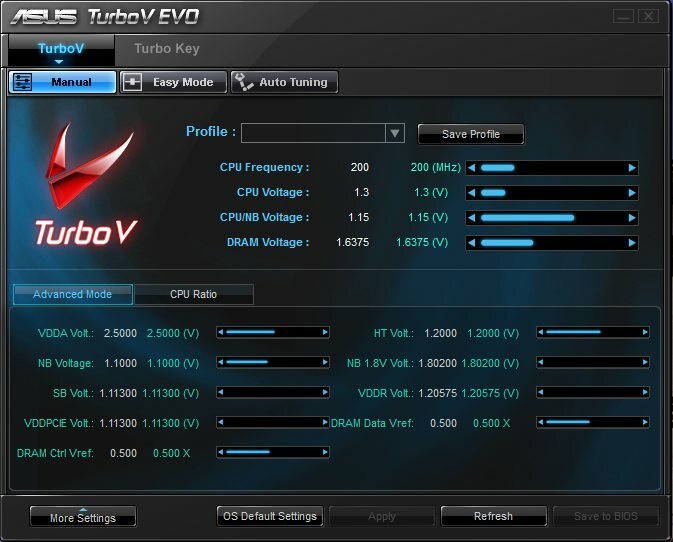 TurboV felt more solid, easier to maneuver and has a huge benefit that other programs lack – the ability to save overclocked settings to BIOS. 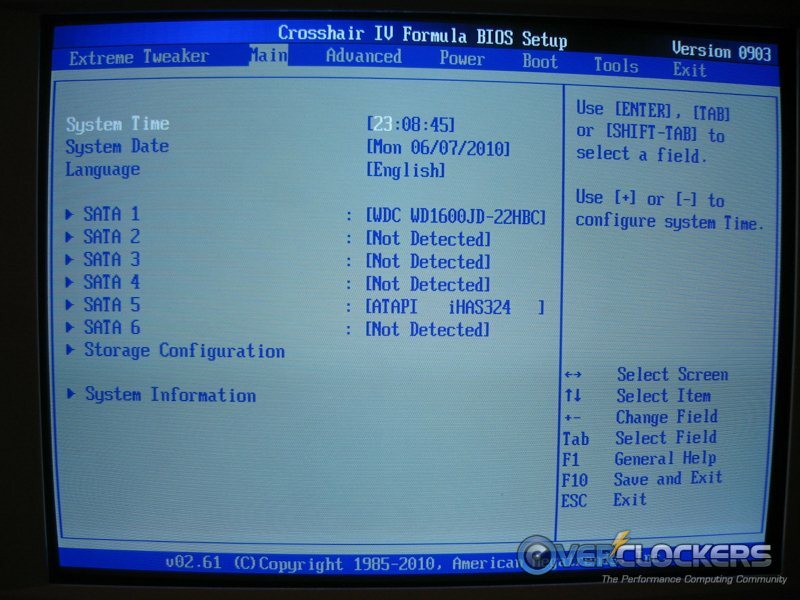 Previously, if you wanted to toy around in Windows overclocking via software, it was all well and good but you had to remember or write down your settings, restart & manually apply them in the BIOS. With TurboV, just set an overclock you like and click the wonderous “Save to BIOS” button; voila, done! Excellent program / board interface they’ve put together. But wait, there’s more! (Yep, that felt like a used car salesman.) 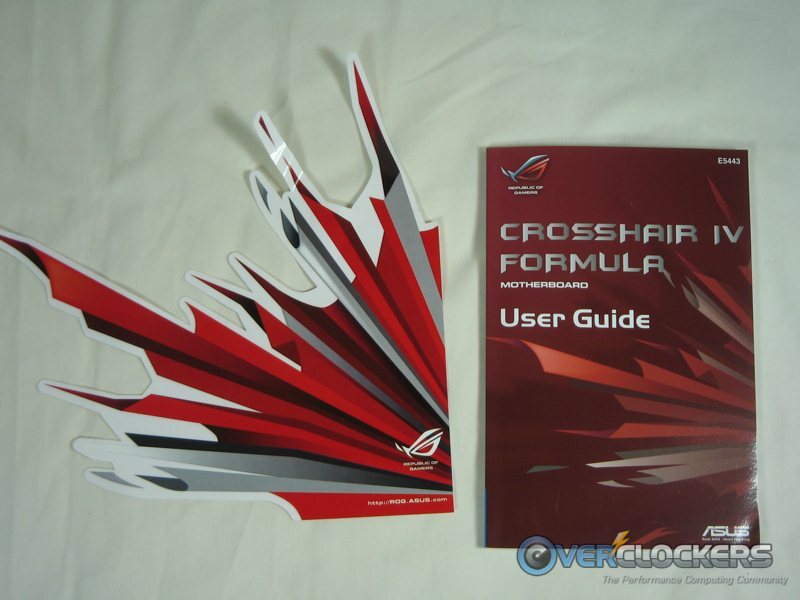 Not only do they give you all that great functionality inside Windows, but with RoG Connect, they give you that functionality with another computer. 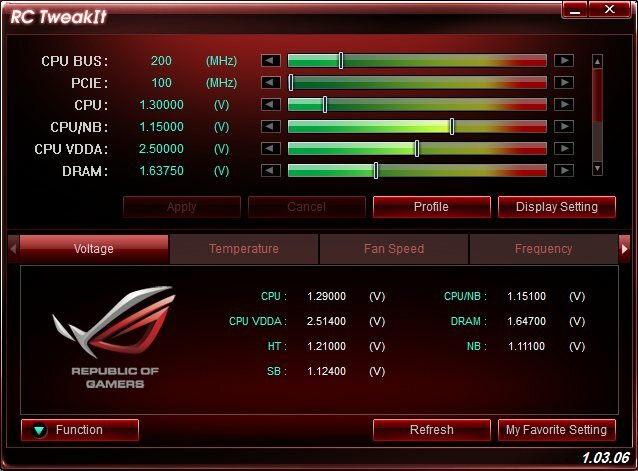 Simply turn on RoG Connect on the I/O panel, plug in the supplied USB cable to your laptop or another computer close by and install the software. With seemingly the only exception being the ability to change CPU multiplier, all of the same settings are right there for you to use. So if you’re running, say, 3DMark at a very unstable setting that can make it through the GPU portions fine, but will crash in the CPU tests; simply reduce the clocks while it loads that section of the bench. Good stuff. Now let’s clock this thing! Right off the bat, I wanted to feel out max stability at reasonable voltages and came up with a pretty decent 750MHz bump from stock, for 3.7 GHz. This may or may not be REALLY stable, as time was limited, but it survived a run of Prime95 SmallFFTs for 30 minutes. Max CPU temp was 48°C, very tolerable for a solid, 24/7 overclock. 4.0GHz was attempted several times without success, changing pretty much all voltages and HT/memory multipliers to try and stabilize the overclock. It just wasn’t going to happen in the time allotted. 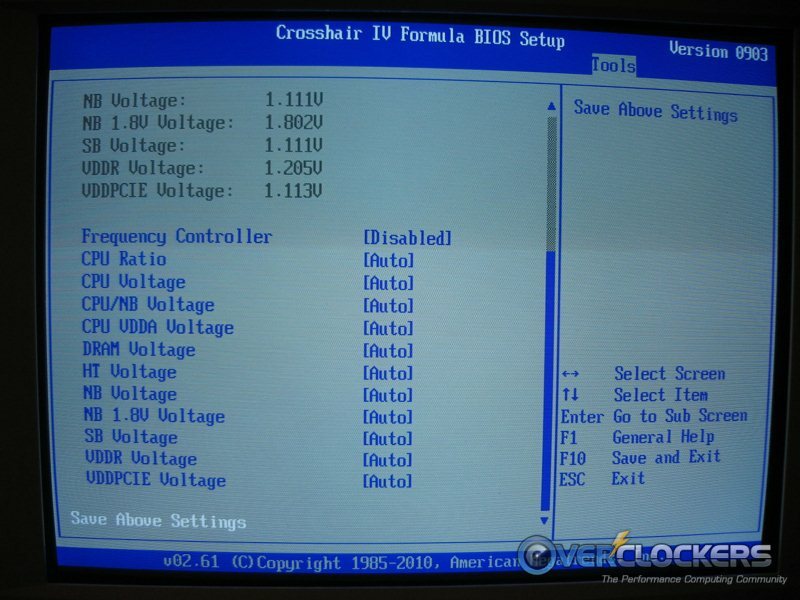 The true “max” stable 24/7 overclock at reasonable voltages is probably somewhere in between this and 4.0. 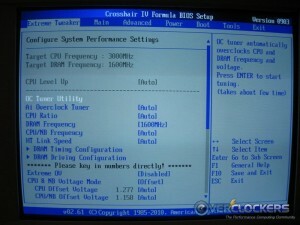 Regardless, there’s nothing to be ashamed of in getting a 750MHz overclock from such an inexpensive piece of hardware. 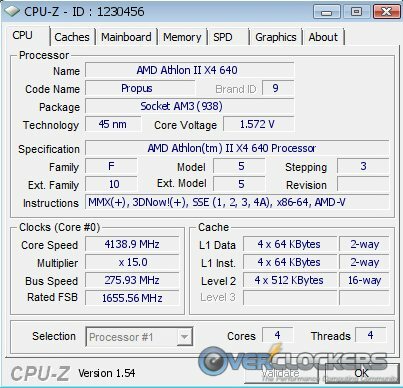 Since most folks getting one of these CPUs are not going to be going for massive overclocks, chances are they want something that can get them a little boost in performance without sacrificing anything except maybe a few bucks on a good cooler. 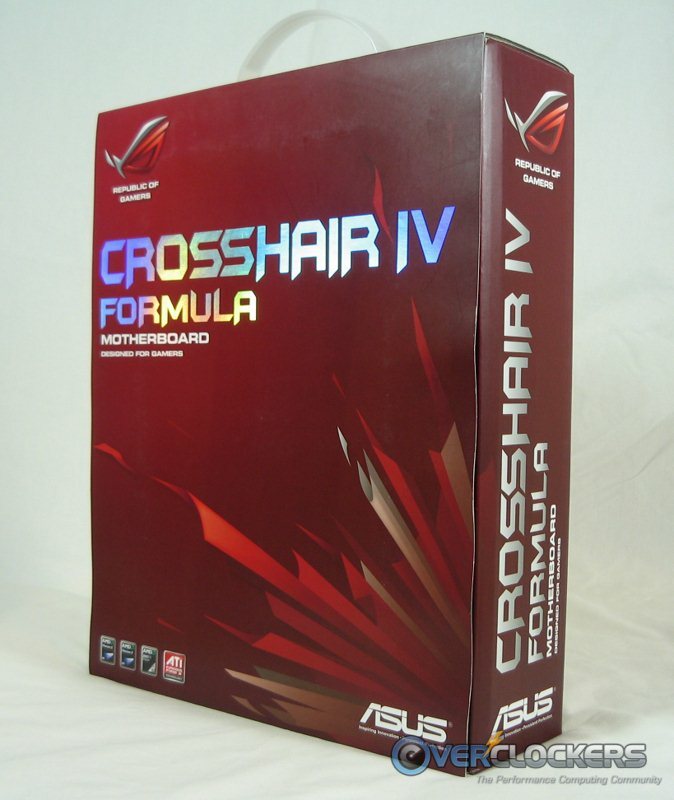 So how does 3.75GHz help if you are, say, gaming? First up, the Stalker: Call of Pripyat benchmark. 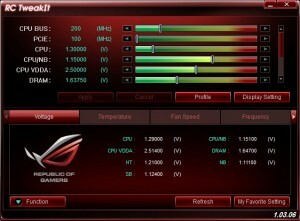 The bench itself runs four scenarios and reports the minimum, average and maximum FPS readings. Average is the most important to consider, so to keep the data easy to read, all four scenarios are going to be averaged in the charts below. They were all run at 1280×1024, on the “Ultra” quality setting with the difference coming in the form of MSAA off or at 4x. So, it showed some decent gains when playing with MSAA turned off. 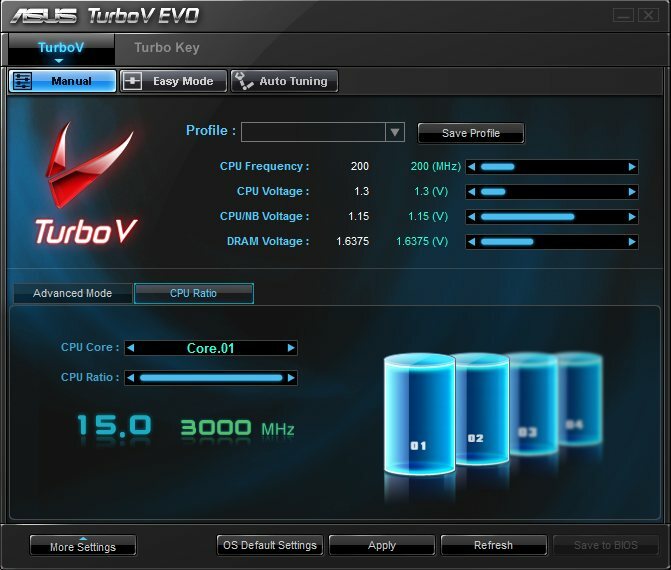 With a decent overclock on this CPU, you can expect a good 10-15FPS increase, not to shabby. With 4x MSAA applied, it surprisingly didn’t increase much at all. The other gaming bench run was the Aliens vs. Predator D3D11 Benchmark. This one was cranked to the max from the start. With all settings as high as they’ll go, the system squeezed out a 35.5 FPS average at stock. After applying the same 3.75GHz overclock, that number improved to a much more comfortable 48.4 FPS average, a strong increase of 36%! 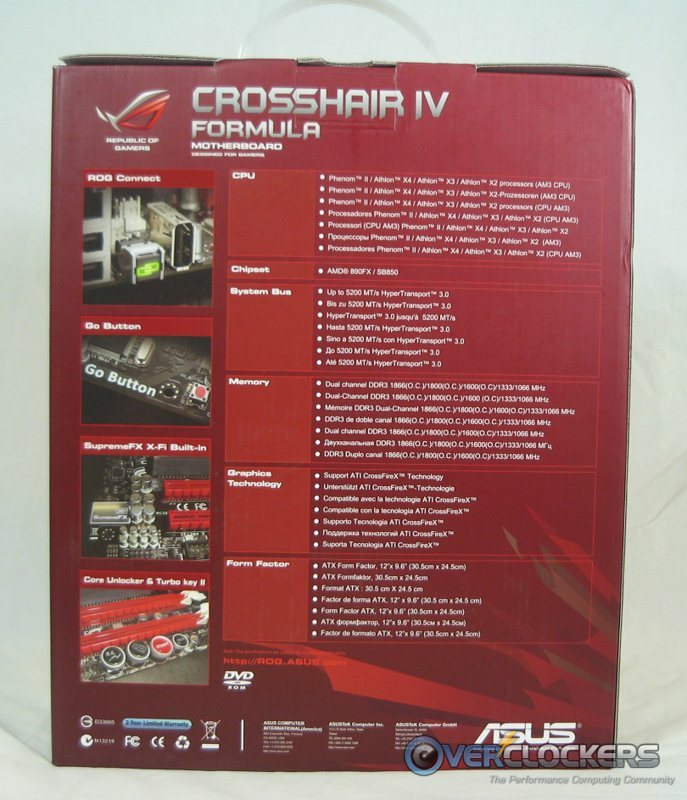 Enough gaming though, this is Overclockers.com after all. We want to see how it benches! 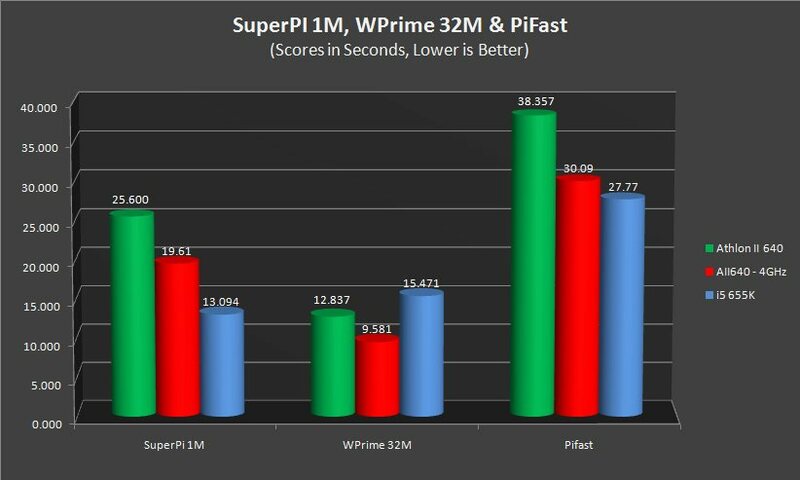 Starting off the benches, we have the quick and easy benchmarkers’ favorites of SuperPi 1M, WPrime 32M and PiFast. SuperPi is no surprise, Intel has been on the ball for single-threaded performance for a good bit now. The gain from stock to 4GHz (4.138GHz to be precise for the SuperPi1M run only) was quite impressive, coming in with a 23.4% better time. WPrime is great for showcasing multi-threaded performance. Here we see the four physical cores again separating themselves from the dual-core with HT, especially in the overclocked result. PiFast also uses multiple cores but the physical cores weren’t quite enough to overcome the competition in this instance. To save some confusion, the SuperPi 32M results are graphed in total number of seconds, but the data labels reflect the time as minutes:seconds. 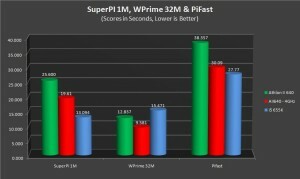 Playing out like the results before, but in a more pronounced fashion, Intel still wins single-core bench performance in this little competition, but the four true cores shine in Wprime, even more so when overclocked. 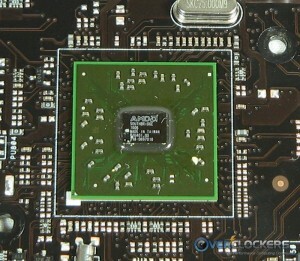 This is one strong little CPU! 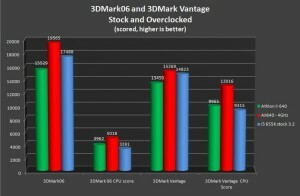 To see how the system fared in 3D Performance, we’ll check out 3DMark06 and 3DMark Vantage, run at stock and at 4GHz. 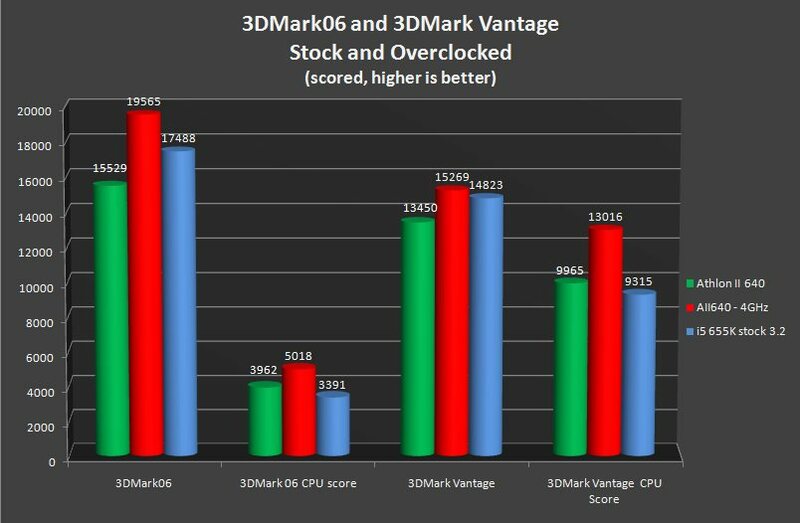 Somewhat counter-intuitively, while both 06 & Vantage CPU scores at stock showed the Athlon II beating out the i5, the overall score actually showed Intel to have the advantage. 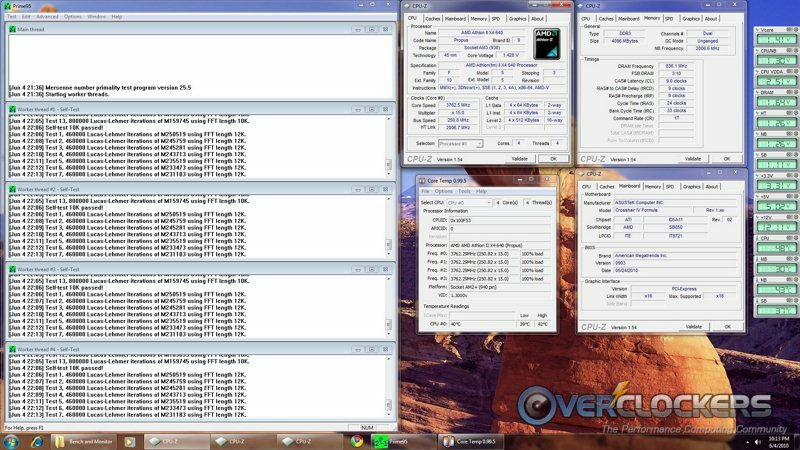 However, both tests showed a strong increase from the full 1GHz overclock. 3DMark06’s overall score increased 25.99%, with a CPU score increase of 26.66%. Likewise, Vantage scores increased 13.52% and an impressive 30.61%, respectively. 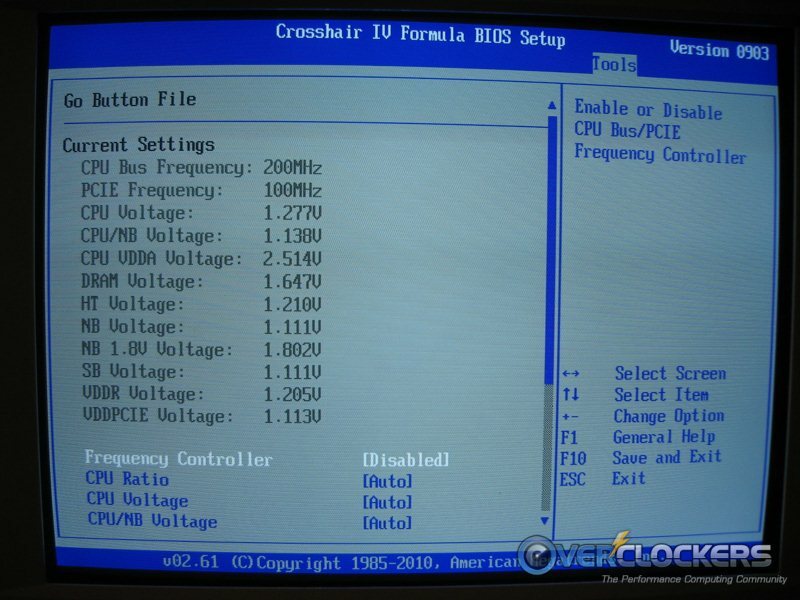 The CPU only scores walked away when overclocked and the overall scores won the battle as well. Of course, it wouldn’t be much of an overclocking section if we didn’t try to make some hardware cry! I’ve been kicking myself since getting these results because the max I was able to reach was rejected by CPUz for some reason. I didn’t think to take a screenshot and didn’t manage to reach that overclock again. 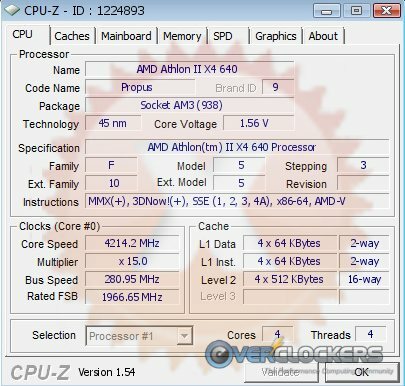 So the legit CPUz validation comes in at 4138.9MHz. Now, the one I’m more proud of, but sad that it doesn’t count – the rejected 4214.2MHz validation. There you have it folks, a mea culpa on this lovely board. There were some growing pains for early adopters to be sure. 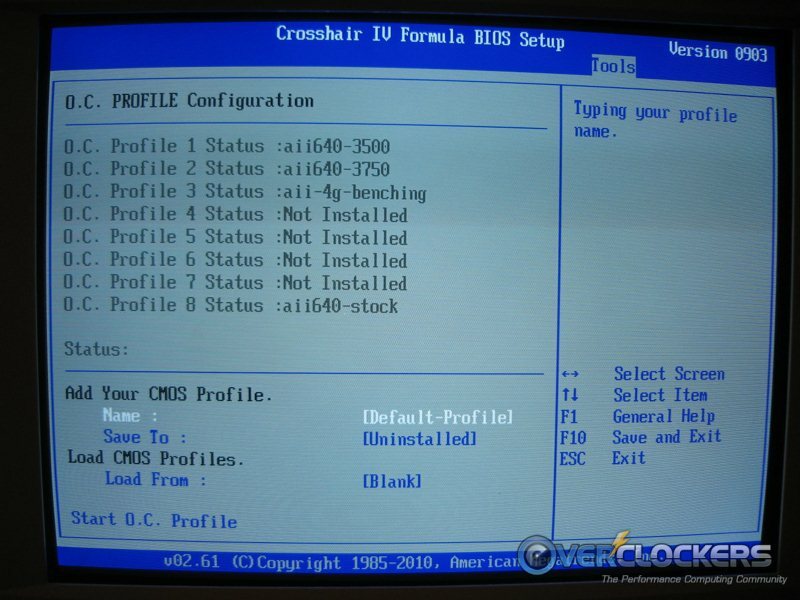 Various BIOS issues needed to be ironed out, even after several releases. 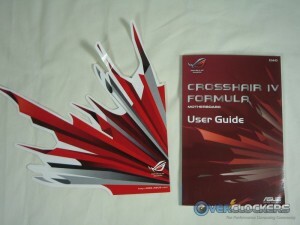 ASUS was johnny-on-the-spot with their support though and have come out the other side with the strong 0905 BIOS. There is barely anything at all negative to say about this board, so I’ll skip a bulleted list pros & cons. What downsides there are equate to minor gripes. First, the northbridge and southbridge could use a proper TIM application. Nothing special, just some sort of honest thermal paste instead of whatever that yellow gunk is. 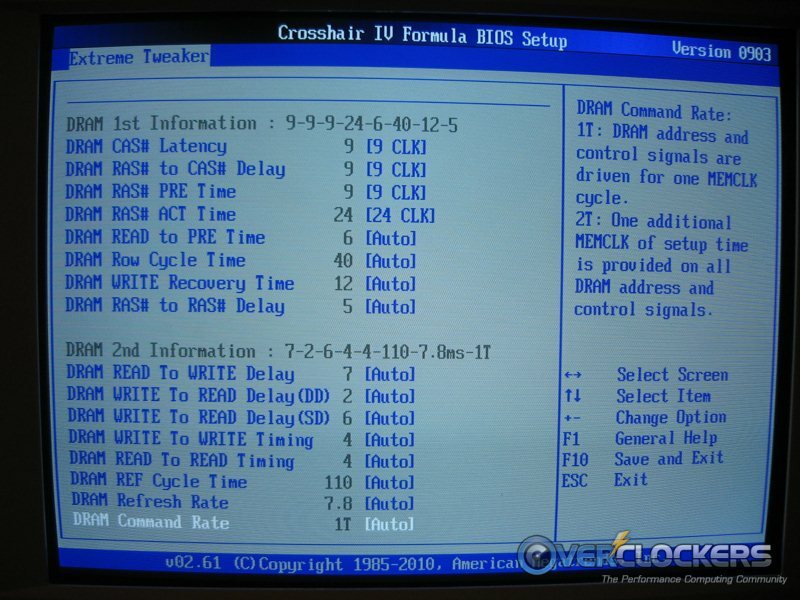 Second, in a market where lots of boards have them, they could really use a multi-BIOS system. 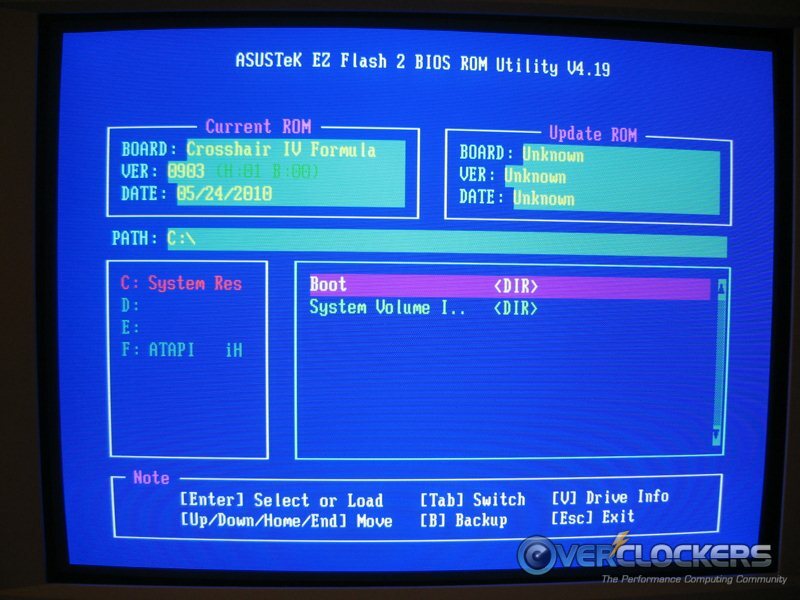 Chances of borking the BIOS on this board are slim, especially with their splendid EZ Flash utility, but it’s still a possibility and a backup would be very welcome. 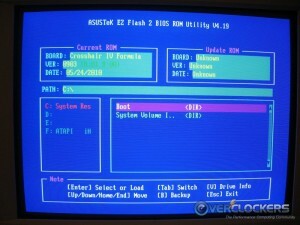 Alternatively, they could just throw in another BIOS chip for those who like messing around with various BIOS versions. Lastly, where is the POST code reader? There is hardly room as configured, but I’m probably not alone in saying a POST code indicator is preferable to a random 7th SATA port. The pros. Well, they are all above, and there are LOTS of them – both for the board and this strong little CPU that you can get for little to nothing, relatively speaking. 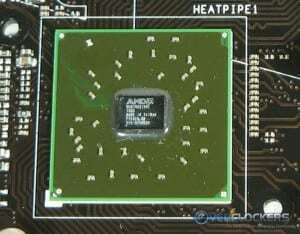 AMD has a winner on its hands with the 890FX/SB850 chipset and the Athlon II 640. 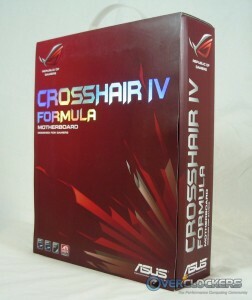 ASUS also has a winner here in the Crosshair IV Formula. 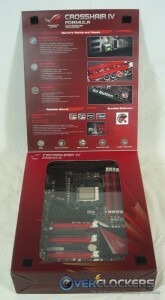 Available at Newegg for $214.99 with free shipping, it’s not the most expensive 890FX board, but it’s close. AMD is all about value, and maybe this board isn’t so cheap, but the feature set and abilities definitely make it worth every penny. 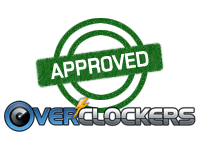 For the most part in life, you get what you pay for and in this board, you pay for and definitely get a champion piece of hardware that is, without a doubt, Overclockers Approved! 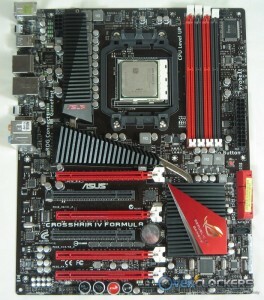 Thanks to AMD and ASUS for supplying this CPU and motherboard for review. Nice review! I'll say one thing, that board is visually very appealing. "Purdy!" 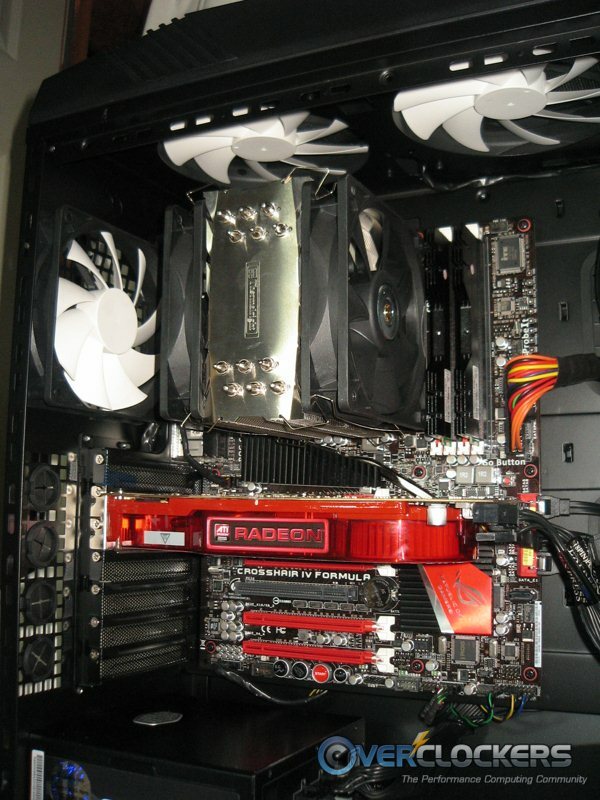 The red thing is why I photographed the system with my 4890 (plus it's what I used for installing Windows & such). 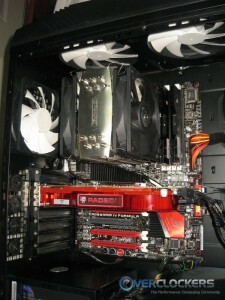 The RAM in there is red and black as well (G.Skill Tridents), but they faced the wrong way when installed in the sockets, so all you see is black. windwithme's is definitely great looking! Moving our attention to the bottom of the board, you can see the on-board power / reset buttons as well as the ASUS core unlocker and turbo key. 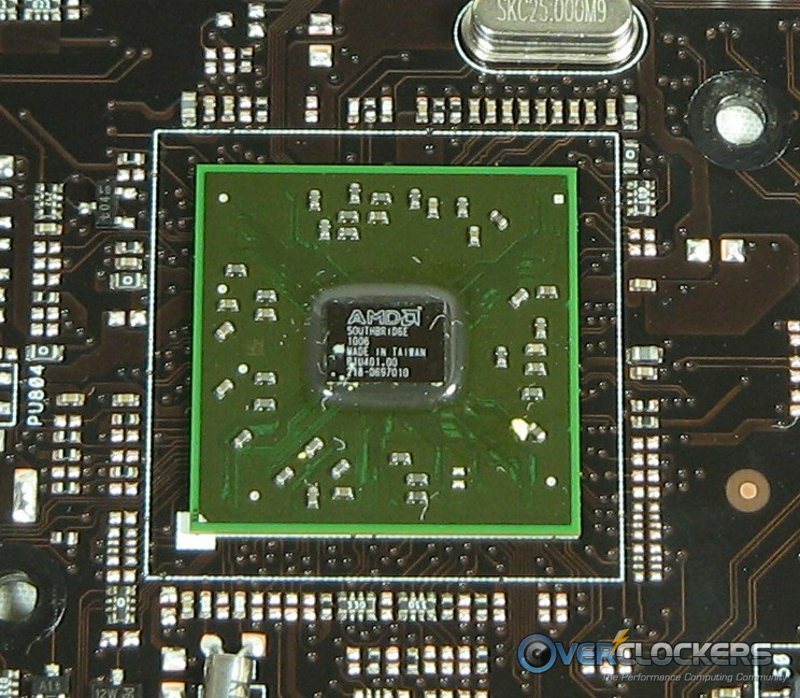 The core unlocker does just that – on AMD chips that have extra cores disabled, you can use this to see if they can be unlocked. Your mileage may vary because only some CPUs can be unlocked. 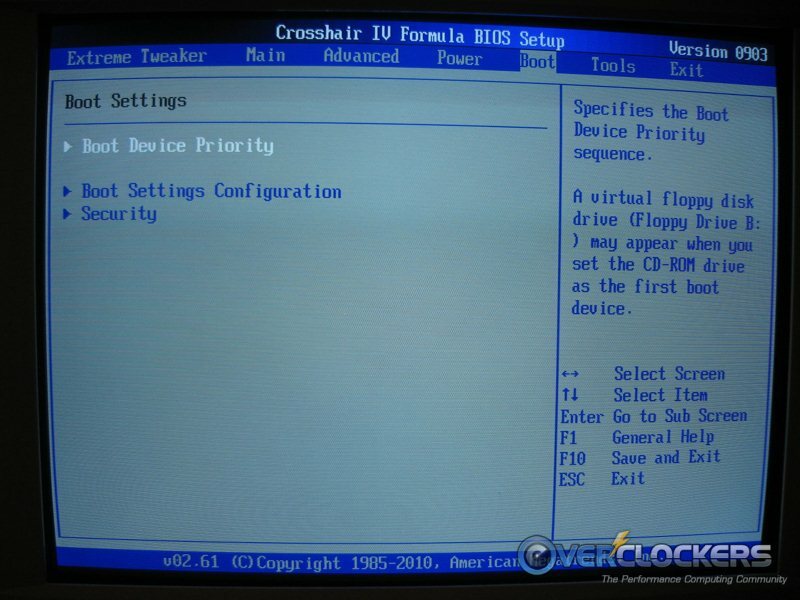 It’s a nice feature to have, but it may as well have been a BIOS setting rather than adding a button. I’d rather have an extra clear CMOS button in its stead. Moving our attention to the bottom of the board, you can see the on-board power / reset buttons as well as the ASUS core unlocker and turbo key. The core unlocker does just that. 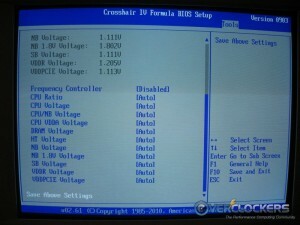 Controlled by the TurboV EVO Hardware IC, this one is the easiest to use . It's fully automated and will unlock your CPU if it detects cores / cache that can be unlocked. 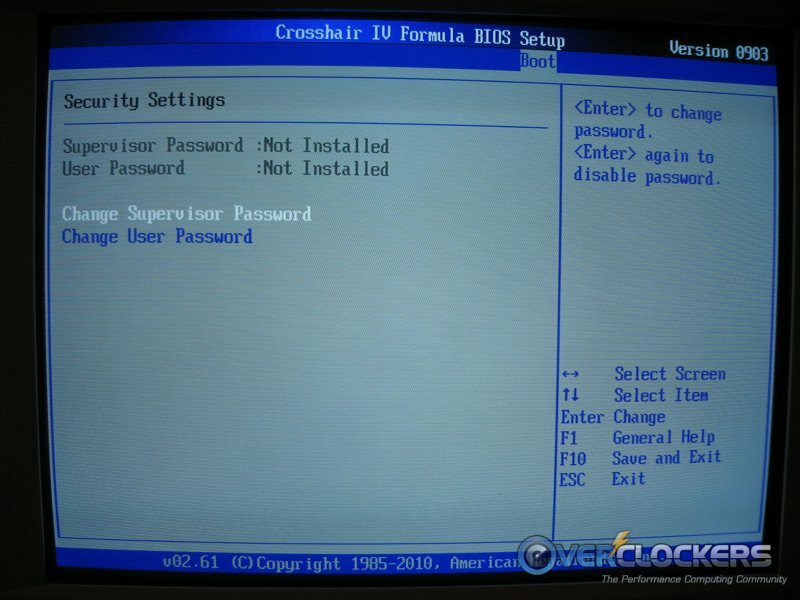 The second, potentially more useful (but more input required) method is via BIOS core unlocking. This one isn't as automated as just pressing the button. 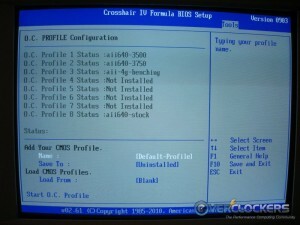 You must set the number of cores you want to unlock as well as adjust any voltage needed to compensate for stability. Your mileage may vary because only some CPUs can be unlocked. The Core Unlocker button is a nice feature to have, but it may as well have remained solely a BIOS setting rather than adding a button. I'd rather have an extra clear CMOS button in its stead. Before POST, the "Go Button" also functions as the "Mem Ok" Button. This is quite a nifty feature, especially for overclockers on the extreme end. If you hit it before the POST begins but after a bad overlock, it will automatically loosen the timings, drop the frequency or adjust the voltage on your memory. Or do a combination of two or all three of those things. 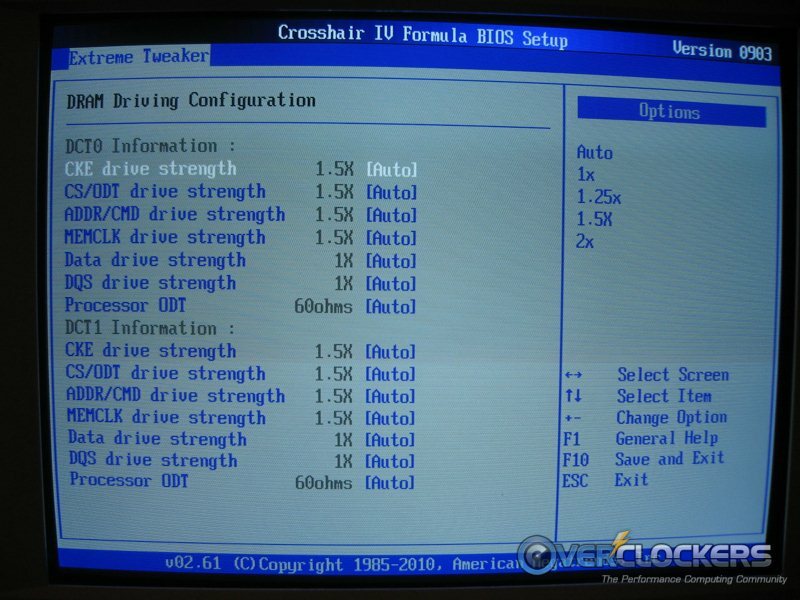 The big benefit for extreme overclockers is that this does not require a full CMOS reset. 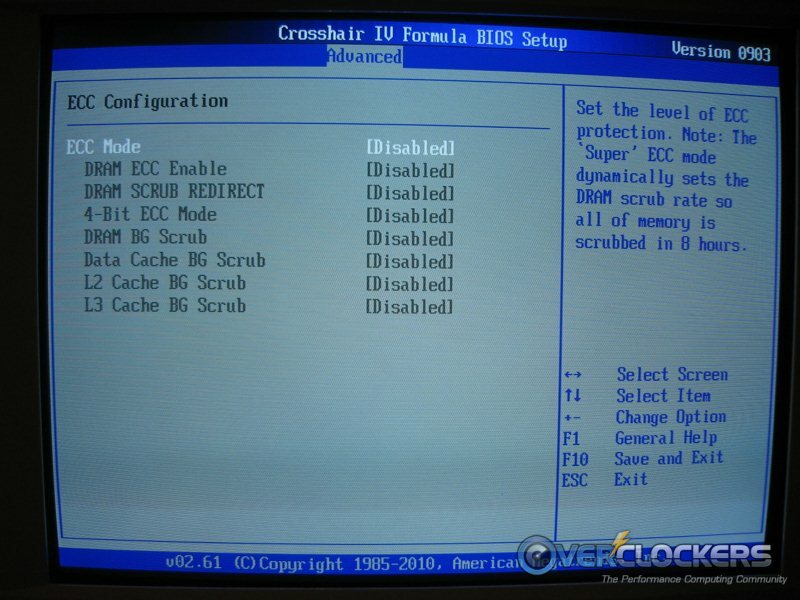 When it lets you into BIOS, you will be greeted with the same settings you had before the overclock failed, so your base settings are still there and ready to rock; you just have to back off on your memory overclock. The less time you're in BIOS with liquid nitrogen, dry ice or even liquid helium since this is an AMD board, the better. You want that CPU doing work, not sitting idle, waiting for condensation to rear its ugly head. To the left of the ProbeIt read points are the QLED indicators. QLED is sort-of like a POST code indicator. The benefit is you don't have to look up or remember POST codes. 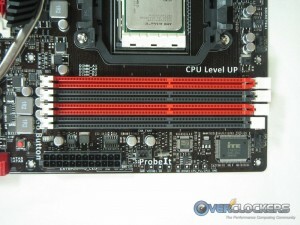 These will light up if there are problems booting due to the CPU, DRAM, VGA or BOOT DEVICE. It's a nice feature to have for easily seeing what's wrong, but I'd still like to have a POST code indicator, if not instead of this feature, at least in addition to it.